What Lens Should You Invest in Next? Maybe you're a beginning photographer looking to invest in your first real lens or maybe you're an advanced amateur photographer looking to add to your arsenal of lenses. Whichever the case may be, here are some suggestions for options when looking to purchase a new piece of glass. This is usually the first step that new photographers take when looking to get a second lens, and it is often suggested by many. While some camera manufacturers have offered lenses such as the 28-105mm and 18-135mm, the 18-55mm has been the most common kit lens. After playing with this for a few months, many start to look at the very affordable 55-200mm to compliment their first lens. The advantages of getting this lens is that, for very little money (as far as photography gear goes) you can see what it's like to use a telephoto lens, which has a lot of different applications than a wide to normal angle lens and produces photos with a few different qualities. On the other hand, unless you are shooting outdoor sports or something like butterflies, you probably won't find yourself using the telephoto very often. For most general uses such as traveling, portraits, family and friends, pets, events, landscapes, cityscapes, cars, etc., your kit lens will be much more practical. If I could give a beginning photographer two bits of advice, it would be: buy a prime lens and take a lot of photos. A prime lens will not only allow you to shoot in dimmer situations and create beautiful blurred backgrounds, but it will get you actively thinking about composition. With a zoom lens, you are likely to stand in one position and zoom in or out to get your shot, but with prime lenses, you are forced to move around and consider how you can best compose your scene. Plus, the quality of prime lenses is usually better than most cheap general purpose zooms, yet a 50mm prime will cost you very little. Oftentimes, photographers want a lens that will do something new. If they have a normal angle, they want a wide. If they have a wide, they want a telephoto. If they have all of those, they want a macro. While it makes sense to want to add to your repertoire of lenses and extend the flexibility you have when it comes to photographing different subjects, sometimes you need to upgrade in quality. After all, if you're pouring this much money into photography, chances are you've had a good amount of experience and you're becoming a great photographer. So why not give your photos the quality they deserve? If you're still shooting your kit lens as a general purpose lens, think about upgrading to a 24-70mm f/2.8. If you have all zooms, thinking about getting a prime. If you have a decent set of lenses and you've got some extra money laying around, perhaps it's time to invest in something a little more exotic. There are many lenses with very specific purposes that don't see a lot of buyers, but they can offer some of the most creative outlets. 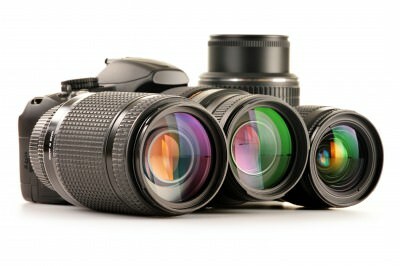 These include, but are not limited to, super macro lenses, ultra wide angle lenses, fisheyes, and tilt-shift lenses. The former two can magnify and extend you view, respectively, while the latter two can provide a unique perspective on an otherwise ordinary scene.